Greta Gerwig’s film “Lady Bird” is her directorial debut and is the best reviewed film of all time on Rotten Tomatoes with a rating of 100%. 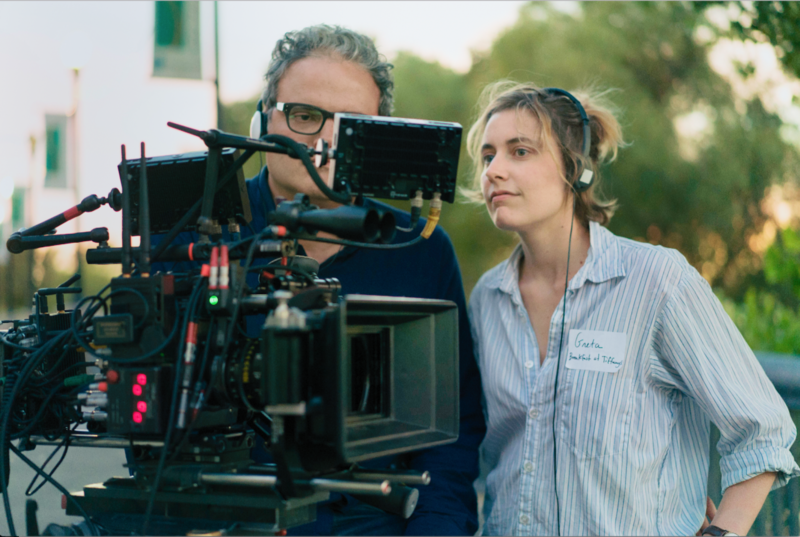 This year has brought about an astounding amount of profound and inspiring cinema, but none quite as collectively acclaimed as Greta Gerwig’s “Lady Bird.” Gerwig’s autobiographical love letter to a girl’s coming-of-age and a mother’s letting go has taken audiences and critics alike by storm. With 185 fresh reviews on Rotten Tomatoes, “Lady Bird” is the best reviewed film of all time, and having recently swept festival and early critics award circuits, it is positioned as next year’s “Best Picture” and “Best Director” frontrunner at the 90th Academy Awards. “Lady Bird” has received universal acclaim and was recently named the best reviewed film on Rotten Tomatoes of all time. What does it feel like to have such a personal film, that’s also your directorial debut, be so well-received? It’s amazing to have it be received like this. Because I know how much love and care and effort every single person who worked on this film put into it, and that’s from all of the casts and the crew and the production team to our distributors, A24. Everyone has pulled so hard for the film and put so much into it and to get that love back is just extraordinary. It’s also completely intimidating but it’s great. It’s a good intimidation. I think Lady Bird’s coming-of-age story not only works, but soars, due to its central mother-daughter relationship. As a female filmmaker, do you feel like there’s an expectation portrayed in this relationship, and how do you portray these relationships realistically for all of their complexity and nuance? I’ve made it a goal as a writer and a director to tell stories about women where the primary emotional relationship is one between two women. I don’t feel pressured to tell those stories. If anything, I feel like they’re stories that are somewhat harder to get made or green lit because they don’t have a genre. I think they’re important to tell because I think that these windows into the lives of girls and women –– to steal a phrase from Alice Munro –– we don’t get to see. In terms of making it realistic, I think I never want to turn away from the darkness, but I also don’t want to make villains ever with my characters. So I don’t try to present perfect people, nor do I ever want my filmmaking to take my characters down. I want them to be allowed to be flawed and to be loved. Your own story seems to run parallel to that of Lady Bird’s, but you have explicitly stated in interviews that none of the events in the film actually happened. Could you talk about writing from your own personal experiences? I always start from a place of something that I know where it’s close to my heart. And with this movie, I wanted to write about Sacramento because I’m from Sacramento. [I] almost always start with some kernel that’s real and then very quickly the characters spin out and become their own people and the events of the film have their own shape and form that’s outside of the events of my life. I think for me, the impetus is starting from a place of familiarity and letting that be the thing that allows me to invent. I like filmmaking that’s personal, I like writing that’s personal. And whether or not it’s actually real is not the case. 2017 feels like the year of the woman director. I’m interested to know your take on why a coming of age story that’s focusing on the female experience is so important, especially in 2017? Well, I agree with you. I think that this year has been an amazing year for women in film. I think with the directors who’ve had films this year –– whether it’s a big blockbuster like Patty Jenkins’ “Wonder Woman” or or Dee Rees’ “Mudbound” –– it’s just an extraordinary year and to be part of that conversation is very meaningful to me. I think in a way, “[Lady Bird]” is a story that is so universal. But because there’s been a lack of female creators, it’s one that is less documented than male coming of age. I’m always interested to see what the female version of that is, like what is “Boyhood” but for a girl, what is the “400 Blows” but for a girl? And I felt that I had not seen that as much as I wanted to. I wanted to make something that was about not only a young woman but about a mother and a family and a place. You open the film with a Joan Didion quote, and have mentioned in interviews that Didion’s writing changed your once pessimistic view of Sacramento. Do you hope “Lady Bird” will have that same effect on someone that thinks they live in a place of cultural insignificance? I hope it does. I hope that it connects to people who are from the cities that are less documented than in New York or [Los Angeles]. Because I’m interested in those cities and those stories and those places. I think there’s a lot of richness there and a lot of things that we don’t get to see and that’s what I’m always looking for when I go to the movie theater and hope that in a way someone will watch this and feel like they can make a film about the place that they’re in and not feel like they have to leave in order to make their artistic statement.